Value retailer QD Stores Group has added a further site to its garden centre portfolio with the acquisition of the freehold and assets of Croft Nurseries & Garden Centre in East Yorkshire. 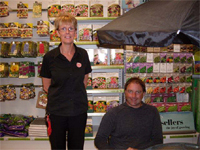 Situated on the outskirts of Beverley, Croft Nurseries is a successful family owned business stocking plants, garden furniture, garden sheds, plant products, seeds and related products. Croft’s staff of 20 will transfer to the QD operation later this month (April) which will trade under the company’s Cherry Lane Garden Centre brand. The acquisition follows QD Stores’ purchase of a new build garden centre site at Cromford, Derbyshire in February. 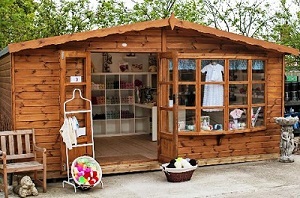 Additional freehold acquisitions are promised from the company which is currently at heads-of-terms with another independent garden centre in the south-east of England. It's smooth going from now on for customers driving into the Cherry Lane Garden Centre at Pulham Market, near Diss. Owners QD Stores have sorted out a long-standing pothole problem to the shared access entrance way into the Centre car park with a smart new resurface by Ipswich-based Taydal Surfacing. Like to give a Santa a helping hand this Christmas? 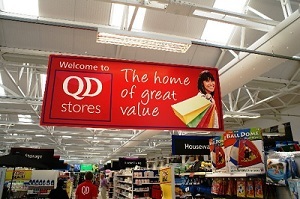 Value retailer QD Stores is set to diversify into smaller high street premises. 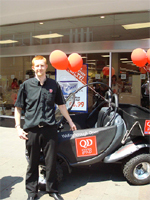 QD Stores, an independently owned chain of discounted retail outlets situated throughout the East of England, the Home Counties and also in Wrexham, North Wales, enjoyed a bumper Christmas in 2010 with like for like sales up 3.8%. 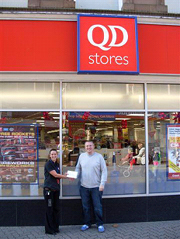 The lucky winner of QD Stores' 1st anniversary competition in Kettering recently visited the store to collect his prize shopping vouchers from Store Manager, Cheryl Barnes. 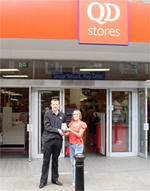 Mr Tony Bellamy, pictured below, won the store's "sugar sales" competition with his estimate that 15,555 bags of sugar had been sold by QD's Kettering store in the twelve months since opening. The actual figure was 19,114 bags. 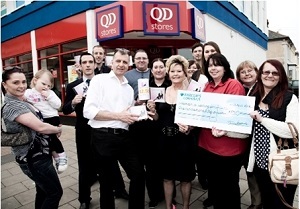 QD Stores in Bishop's Stortford has become an increasingly popular shopping destination in the town since it first opened its doors 12 months ago. To celebrate the store's 1st anniversary, QD is inviting customers to take part in a competition giving them the chance to win £50 worth of shopping vouchers. 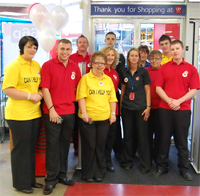 QD Stores in Lowestoft has become an increasingly popular shopping destination in the town since it first opened its doors 12 months ago. To celebrate the store's 1st anniversary, QD is inviting customers to take part in a competition giving them the chance to win £50 worth of shopping vouchers. 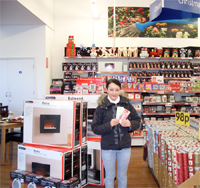 QD Stores in Kettering has become an increasingly popular shopping destination in the town since it first opened its doors 12 months ago. To celebrate the store's 1st anniversary, QD is inviting customers to take part in a competition giving them the chance to win £50 worth of shopping vouchers. 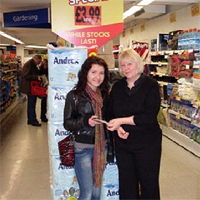 QD Stores in Newmarket has announced the winner of its recent customer competition held to mark the store's 1st anniversary. Shoppers were invited to estimate the number of bags of sugar sold during the first year of trading. A year has passed since the summer opening of QD's Newmarket store and following a very successful 12 months of trading, preparations are underway to mark the store's 1st anniversary on 25th August with the launch of an innovative competition for customers. How many bags of sugar has QD's Wellingborough store sold in the past year? This was the question posed to shoppers as QD celebrated its 1st anniversary. The answer is almost one bag per head of the town's entire population. QD Stores has carried out a major redesign of its Holbeach store which opened in February this year in order to accommodate the rising numbers of customers attracted by the retailer's low pricing on quality products. Two members of staff from QD's Anglia Square store plus another from its head office in Norwich are to feature in a brand new TV advertisement promoting the QD Stores Group. The date for the opening of QD Stores' latest branch in Holbeach has been set for 16th February. 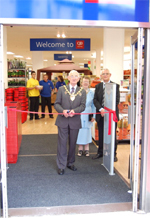 Staff at the store will welcome their first customers at 9 am following an opening ceremony performed by Councillor Howard Johnson.